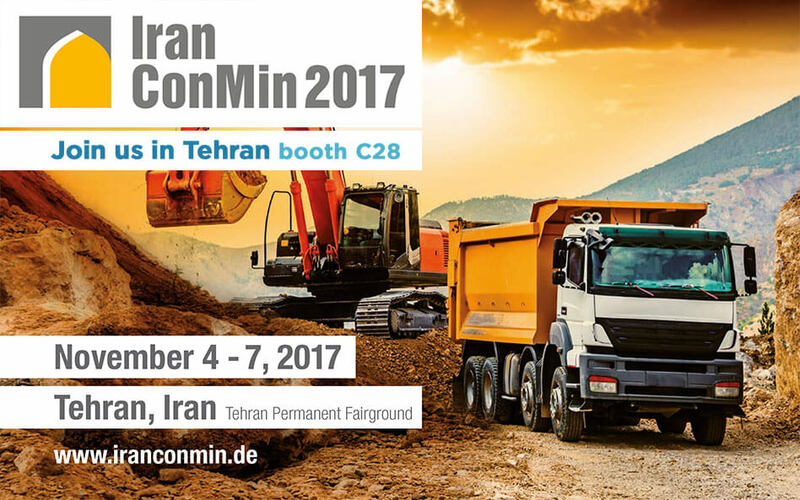 IranConMin 2017 exhibition will be held on 04 – 07 November 2017 in Tehran, Iran. It’s the region‘s leading trade fair for the international construction machinery, mining equipment, building and natural stone sectors. The Iranian mining sector is regarded as a sunrise industry because of Iran‘s resource wealth. Since the Near Eastern country wants to extensively expand its metal industry, this will require a comprehensive expansion of mining. For example, Iran has large deposits of iron ore, copper and zinc. The extraction of marble also plays an important role. We will be present at the exhibition to meet our customers and to show our innovative BELT CONVEYORS solutions.